Established in the year 2006 at Jaipur, India we “M. 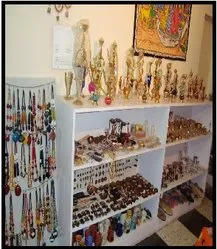 B. Exports” are one of the reliable manufacturers of beautiful Handicraft Items. 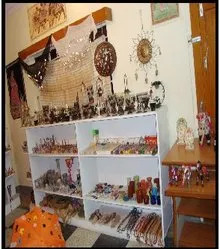 Our range of products includes Wooden Artwares, Metal Artware, Aluminum Artwares and many more. We offer a unique combination of elegant products, reflecting India's legacy. Our products are highly in demand for their unmatched quality and unbeatable price. The products offered by us are widely known for their quality and reliability. Moreover, our products have a good finish and they are manufactured according to the latest trends and fashion. Customer satisfaction is our main concern so we put in our best efforts in order to cater to their requirements. Our offered products are manufactured from high grade quality material and are duly tested by our experts on various quality parameter before final dispatch. We are exporting our products to Europe. Our products are highly in demand because of their superior quality and reliability. The products have smooth edges, good finish, fashionable appeal and many more features. 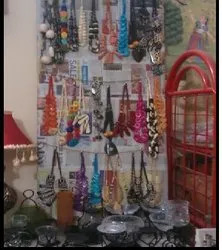 Headed by Mr. Bharat, our company is highly acknowledged for manufacturing these quality handicraft items. His objective to impart maximum satisfaction to our customers has helped our company to secure a reputed position in the market. We are highly acknowledged among our customers for offering quality products. The vast range offered by us is manufactured from quality raw materials. Our designers and craftsmen try to meet the customer’s demands at any cost. Customer satisfaction is our prime motive. In order to cater to the needs and various demands of our valued customers, our quality analysts check the products on defined parameters to ensure that a quality range of products are offered in the market. We are widely acknowledged for manufacturing quality products. Our team members are highly experienced in this particular field. They are professional craftsmen who are dedicated towards their work. The range of products is designed by these experts according to the latest style and fashion. They have always come up with innovative ideas and creations in order to meet the needs and requirements of our customers. The designers and craftsmen are consistently working towards customer satisfaction. Further, the quality inspectors check the quality of products before their final dispatch. Our main motive is to ensure customer satisfaction. The professional designers manufacture these products which are according to the latest fashion trends, in order to meet the needs of our esteemed customers. These products are highly acknowledged for their reliability and fashionable appeal. 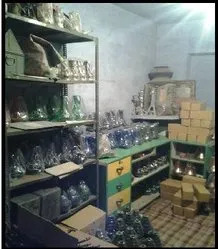 Further more, because of our huge distribution network, our organisation is able to dispatch various products in different parts of the country within the given period of time. To ensure customer satisfaction, we provide customized packaging as well. Customers can buy these products at affordable prices by the mode of cash payment.